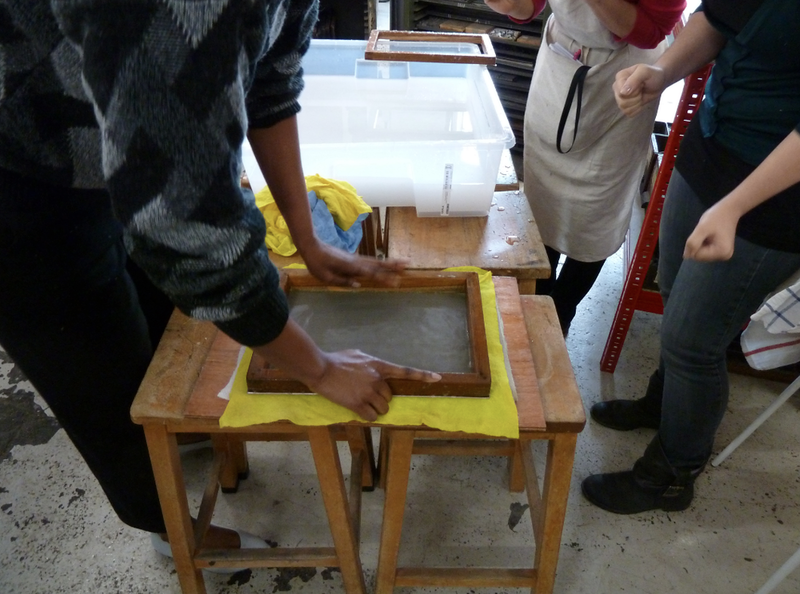 We're happy to announce two classes at the 2016 Summer Arts Institute at the Women's Studio Workshop in Rosendale, NY! I did an artist's book residency at WSW in 2009 and fell for it hard; it's been a few summers since I taught my last workshop there and I'm excited to be going back. Looks like we'll also be the first class on the new Vandercook that they've just moved in! There’s nothing, for a writer or designer, like the feeling you get when you realize letters can be tangible things; that you can hold your words in your hands; that even the space between words is a physical object. Spend a week with WSW’s collection of lead and wood type and learn traditional hand typesetting and letterpress printing. Bring your words or someone else’s plus a dose of curiosity and discover the magic of letterpress! We’ll start with a communal broadsheet just to learn the process, then students will make their own broadsheets or simple pamphlet bindings. 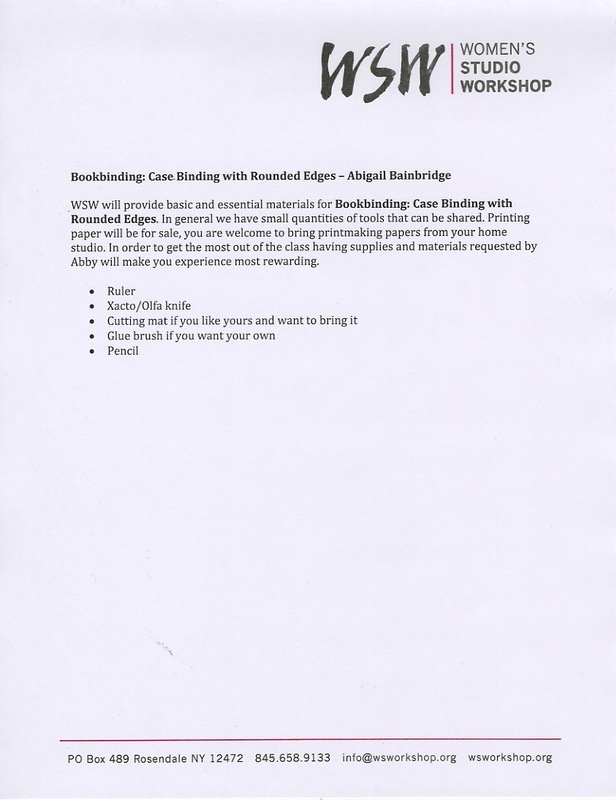 Those also enrolled in the following week’s workshop—Bookbinding: Case Binding with Rounded Spine—can use their letterpress work for the bindings in that class and continue to use the letterpress studio. No prior experience in printing is expected. In this class you’ll learn how to make a traditional case binding from start to finish (although without cutting all the corners that modern machine binding does!). This is the style of your average hardcover book, with cloth covering and a rounded spine. 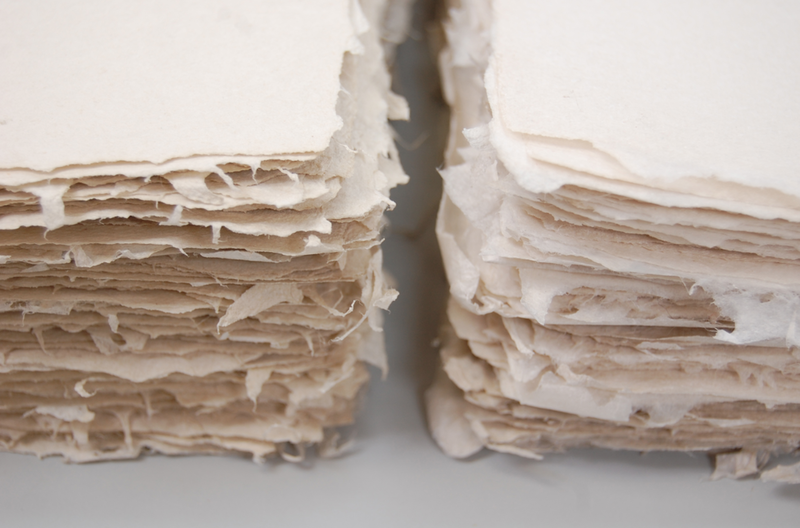 You’ll learn the basics of paper selection, sewing, rounding & backing, edge trimming, and casing-in. Those who are a little faster will have time to learn more advanced techniques—such as hand-sewing endbands—or start a second book and really consolidate their skills. Use your book for a sketchbook or journal or just to learn the process so you can go home and make them on your own. We’ll talk about ways to get around any lack of equipment. Those enrolled in the letterpress class from the week before have the opportunity to incorporate their printing in these books. 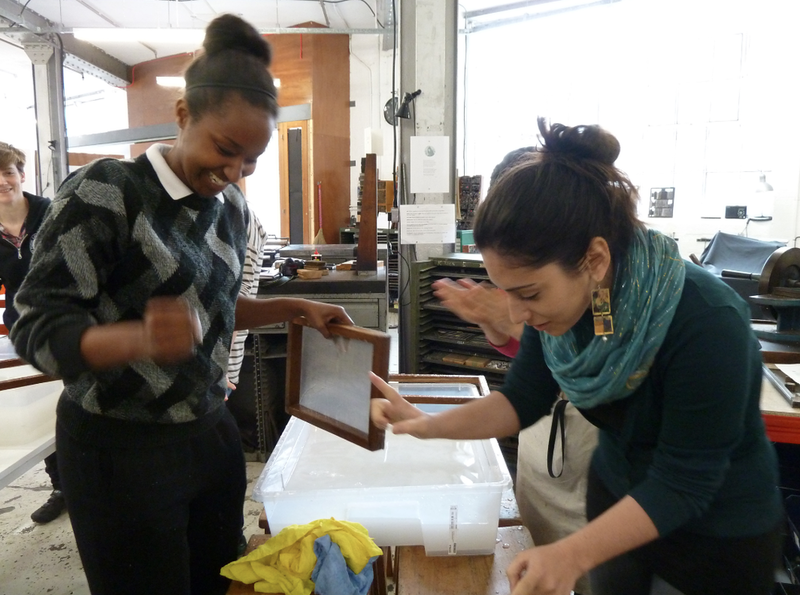 A few more classes coming up at LCBA: solander/drop-spine boxmaking on March 29, and slip cases on April 13! And then we collaborated to make this lovely stuff, which Chris made for me to use in a model of an 18th century French bookbinding.